Discover the depths of the Otway Ranges temperate rainforest whilst revisiting the history of logging along the Beechy Rail Trail. 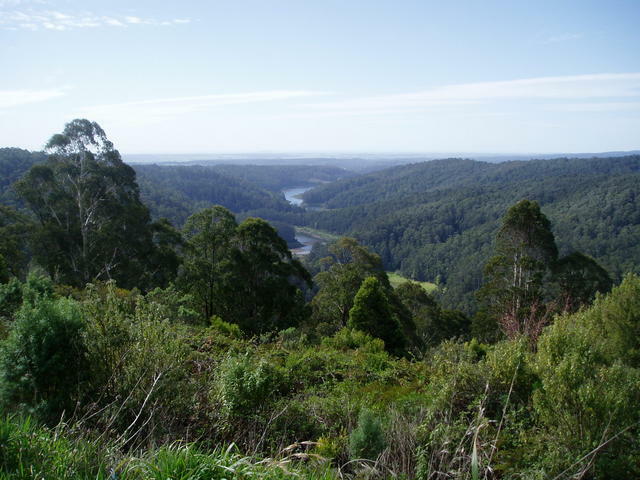 This trail climbs up to the ridge of the Otways and includes some of the magnificent forests, rail history and wilderness of the Otways, leading eventually to the Great Ocean Rd. Rainforests, Falls, Rail History, Gorges, Rivers leading to the windswept cliffs of the Great Ocean Road. Leaving Melbourne and heading for the western reaches of the Great Ocean Road, this trail takes a nice deviation by entering through the Otway Ranges wilderness area from the north. Head south-west from Melbourne through Geelong along the Princes Highway and 18kms past Winchelsea towards Colac, and take the southern turn off to Birregurra - an ideal lunch stop at the local Royal Mail Hotel and take time to clue up on the history of the area at the nearby historical society. 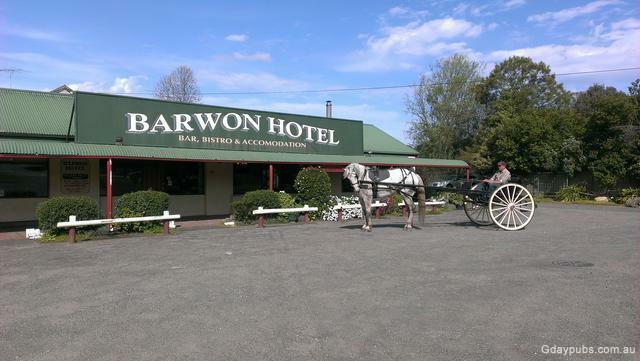 From Birregurra, you'll travel south through some of the picturesque towns that border the upper reaches of the Barwon River, up to Mount Sabine where you'll find the commencement of the Turton's Track. Caravanners should consider staying at Forrest, and relocating to Gellibrand via an extra day's travel via Skene's Creek, Apollo Bay and Laver's Hill and then travelling by car only, to the attractions around Ferguson. Recently sealed, the Turton's Track still carries heavy trucking, and is not recommended for caravans because of its tight turns and narrow road. But here, you will descend down into the bowels of the forest and discover excellent examples of timbers like Beech Trees, emerging at the western end of the trail at the township of Beech Forest. 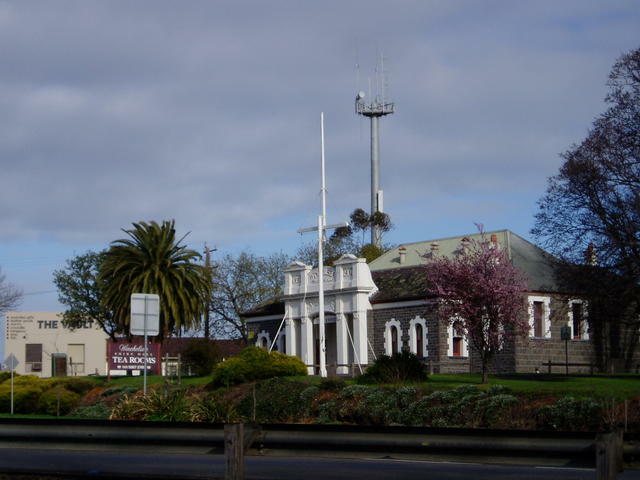 The town (location) of Ferguson, these days marked only with its local Museum on the corner, is a pivot point of this trail, providing access to the Otway Fly and many of the fine waterfalls/walks of the area. 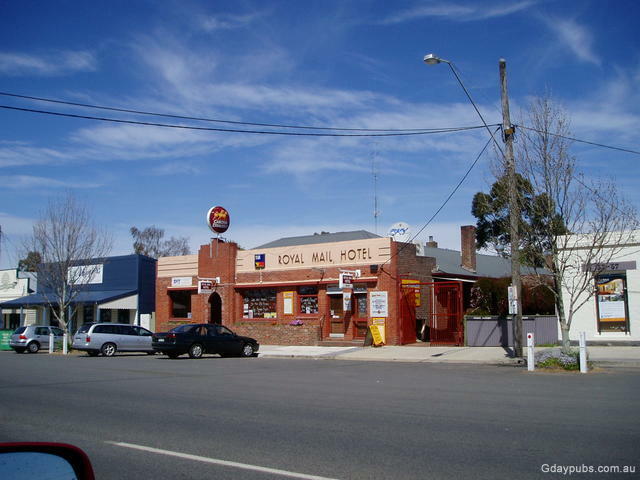 But we suggest travelling north up to Gellibrand for accomodation and some fine Pub Trailing at the Gellibrand Little River Hotel and making that a base for exploring the attractions of the area. The 'Beechy' Rail Trail, the former railway line linking Colac in the north, up to Beech Forest high up in the Otways (1744 ft), can be visited as an alternative round trip from Gellibrand to Beech Forest and Ferguson. 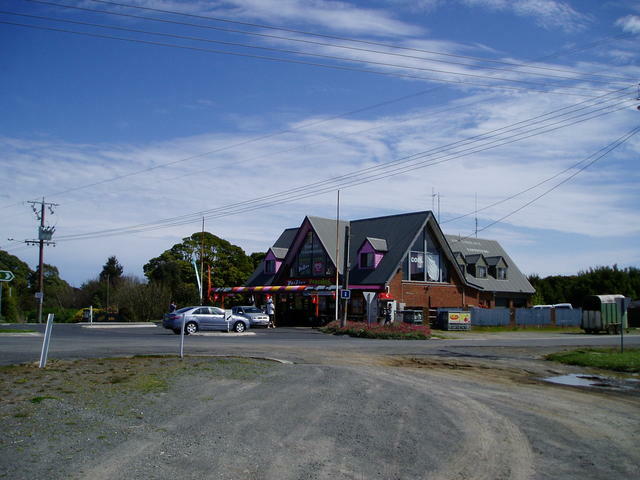 Nearby is Laver's Hill, which marks the inland section of the Great Ocean Road, and provides travellers the choice of returning to Melbourne via Apollo Bay, Lorne, Anglesea and Geelong, or pushing further west towards Port Campbell and Warrnambool. But there is one more treat in these area: Johanna. Travelling south from Laver's Hill only a few kilometers you'll arrive at Blue Johanna Rd. Travelling from high up on the Otway ridge you meander down to Johanna Beach wich magnificent views of the coastline as you descend. The Red Johanna Rd provides an alternative exit back to the Great Ocean Rd and permits you to loop back to Laver's Hill. 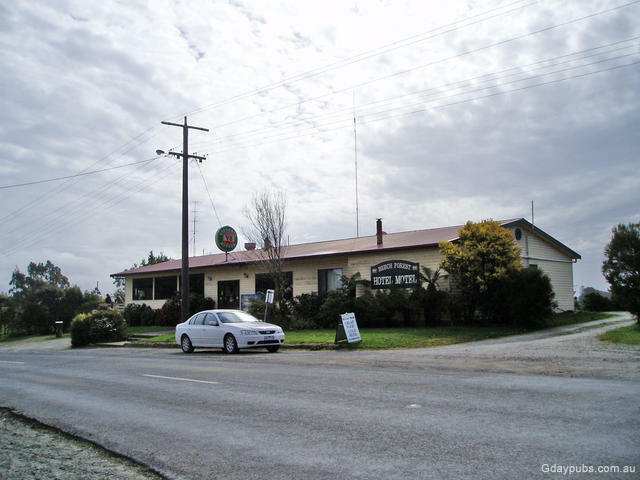 We recommend readers to consider exploring the western reaches of the Great Ocean Rd from Laver's Hill, and make a round trip via Peterborough, Timboon to Camperdown/Colac. 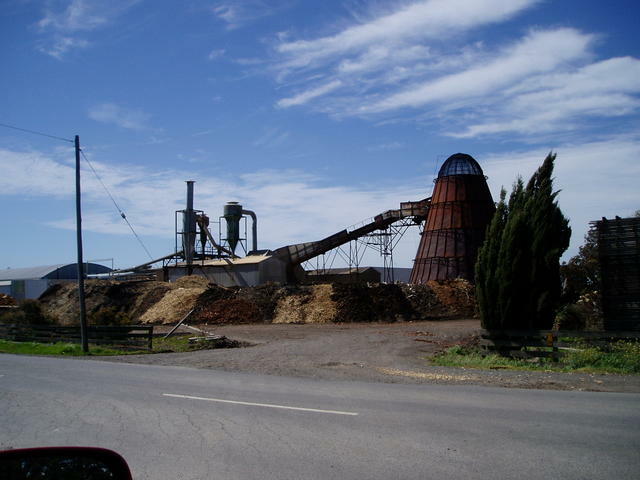 See the Timboon Whisky Trail which details this. Little River - time to see what lies beside this otherwise swift journey down the Melbourne to Geelong freeway. The Barwon River meanders many miles around the western region beyong Geelong, but few places present such a quaint and well maintained feel to it, than Winchlesea - or "Winch" as the locals call the town. Right in the middle of the town, overlooking the river. Now here's Gaz's tip! 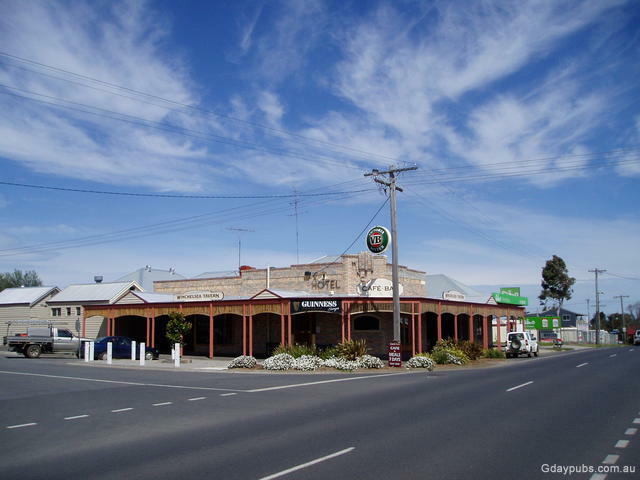 Slip off the highway (as I do so often) before you reach Colac - you'll be passing there on the return trip later(see: Timboon Whisky Trail for that part!). Time to head on down south to Birregurra, just off the highway, and get ready to become acquainted with the Otway's National Park that goes clear through to the coast and of course Cape Otway. Again, the Barwon River plays a big part in the geography here. Definitely a good spot for a tad of lunch and time to plan the trail below. Some great history here, right at the edge of town. For those with caravans, campers or trailers of any description, Forrest is the place to shed them and stop-over here a night so that you can enjoy the drive through Turton's Track - which does not permit long or wide vehicles. In 2008, they completely sealed the road from Mt Sabine through Turton's Track and up the top of the ridge at Beech Forest. So one suggestion is to stop here at Forrest, and take a day's outing through Turton's track and back to Forrest. Then push on down through Skene's Creek to Apollo Bay and up past Johanna to Laver's Hill and down to Gellibrand for the next night. Just south of Forrest, is a great vantage point high up at Barramunga, where you can look back north to the West Barwon Reservoir - great views. This is what this Pub Trail is all about. 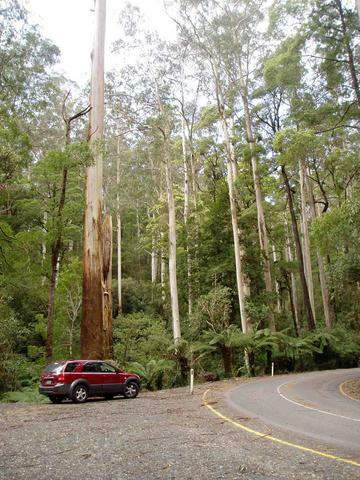 Turton's Track takes you deep down into the forest floor, where you can see Beech trees of majestic proportions. It must have been tough in the old days when this track was a slippery mud track, and the timber mills sent their trucks down to fetch their takings. The track is still very thin in parts - impossible to overtake or pass other vehicles in the opposite direction - hence why they ban trailers. We travelled the Track shortly after it was sealed, but it hadn't taken long for yards of debris to have fallen from the tall trees thick in the area. So the road can still be quite slippery and dangerous for motocyclists. Be sure to observe the very slow speed restrictions, watch the bends but stop at the many turn-ins and parking areas to surround yourself inside of one of the oldest rainforest areas in Australia. 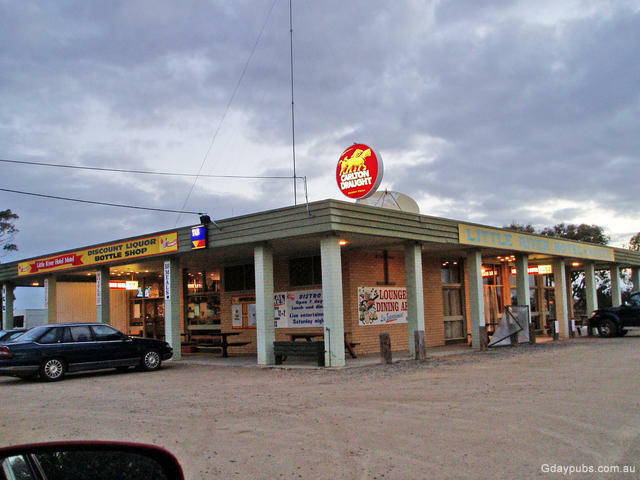 Forrest Hotel - right next door to a well equipped caravan park. Leave your trailers here, and go explore Turton's Track for a day and then come back here to meet up with the locals. Beech Forest sits high up on a ridge at the tail end of the Beechy Rail Trail. 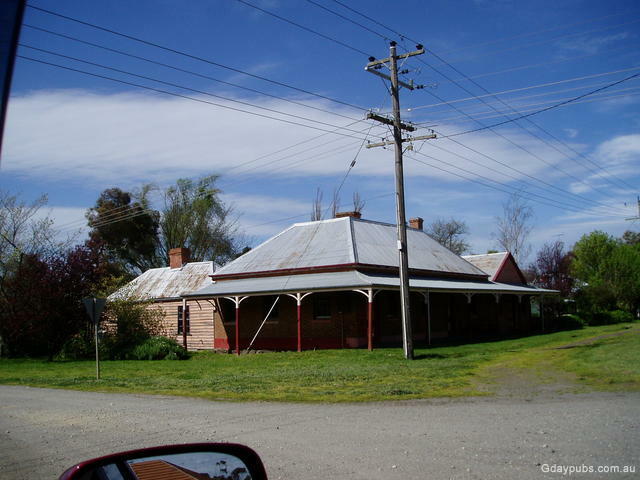 The now discontinued rail line, once came to this point from way down north of the town, from Colac. The town has an excellent picnic area with views down the valley towards Gellibrand to the north, and Johanna to the south. There, you'll find a great set of photographic and written historical reminders of the timber milling and forestry origins of the area. 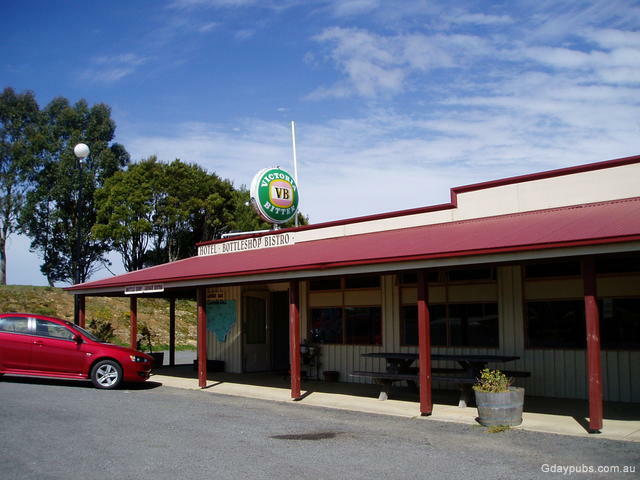 These days, Ferguson is more a location than a town, but it does have an excellent cafe and museum, right on the corner of the Gellibrand/Beech Forest/Laver's Hill T-intersection. It's a good spot to catch a bite when visiting the nearby Otway Fly and the many picturesque falls in the area - such as Triplett Falls at the end of the road to the Otway Fly treetop walk. Another great pub in the area - Beechy Pub! 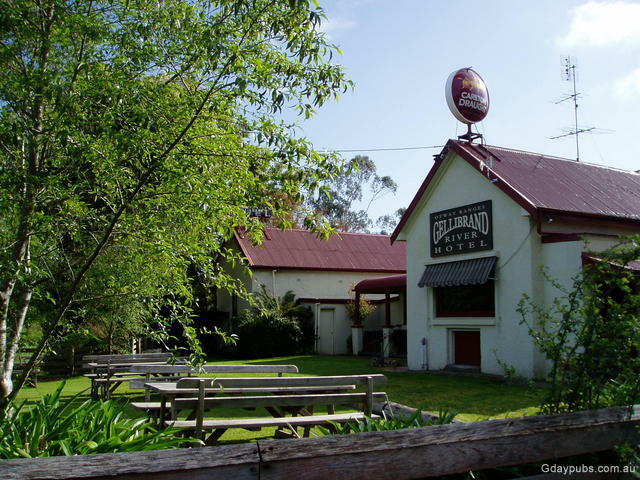 Gellibrand is a magic spot to stay a night when travelling the area, and visiting the Otway Fly just up south at Ferguson. It is also a good place to walk, ride or travel by car along many of the vantage points of the old Beechy Rail Trail. 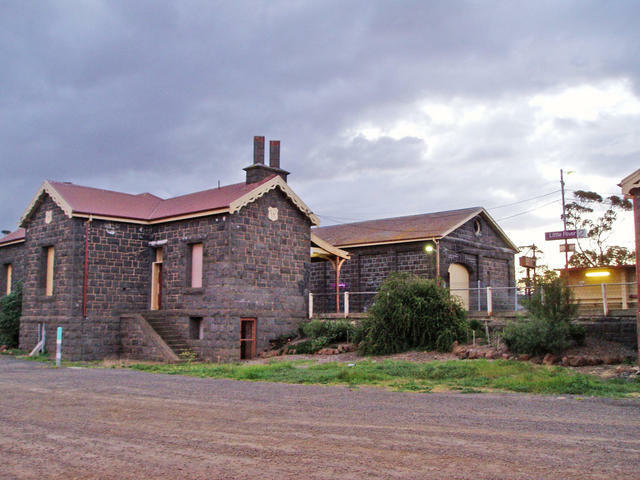 We recommend driving down to Gellibrand from Ferguson, and making Gellibrand your stopover for at least a night or two. The road down is sealed and an easy run. Then, by car only, drive up south long the Rail Trail as you climb from under 300ft to a height of nearly 1800ft up to the Beech Forest township. The views and countryside of lush farmland is a refreshing spectacle. From the middle of Gellibrand, at the local park, check out the cast iron mural with engraved town names - it is a scaled version of the terrain and altitude of each of the original rail stops that once linked Gellibrand up to Beech Forest. It also explains the hill climb to the north too, back up to Colac. Gellibrand is in quite a valley actually. Behind the park, as you head off up the Old Beech Forest Rd, you 'll find the original Timber Mill of the town (private residence). By the way, don't go leaving town too quick, there's a great microbrewery and winery about 10kms north of the town at Barongarook. And don't miss taking in the great view too, as you climb up through Kawarren. There's a little turn off on the peak, where about three houses have their driveway entrances. Now this pub is a real treat - open fires, great hospitality, and they even stock their own microbrewery ales! Lavers Hill is the main junction on the Great Ocean Road (GOR) that leads you east towards Geelong/Melbourne via Apollo Bay and Lorne - or west to Peterborough, Port Campbell along that part of the GOR that has the spectacular rocky outcrops and bays, like Lochard Gorge, the remains of the 12 Apostles, and we'll remind travellers of a few lesser known viewing areas along this great stretch of coastline. Be sure to slip down to Johanna Beach when in the Laver's Hill area. (refer to Laver's Hill area on the neaby trail that we recommend visiting along with this one: Timboon Whisky Trail which starts at Laver's Hill. 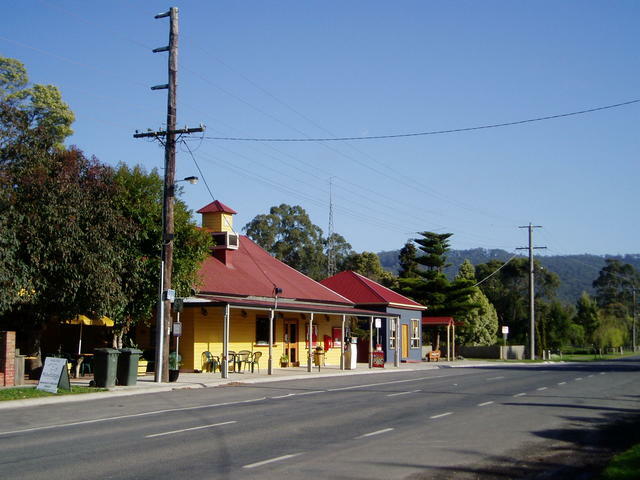 Ferguson may not boast a township or pub but it is a key locality at the top of the Otway ranges, linking the three roads from Beech Forest, Gellibrand and Laver's Hill. 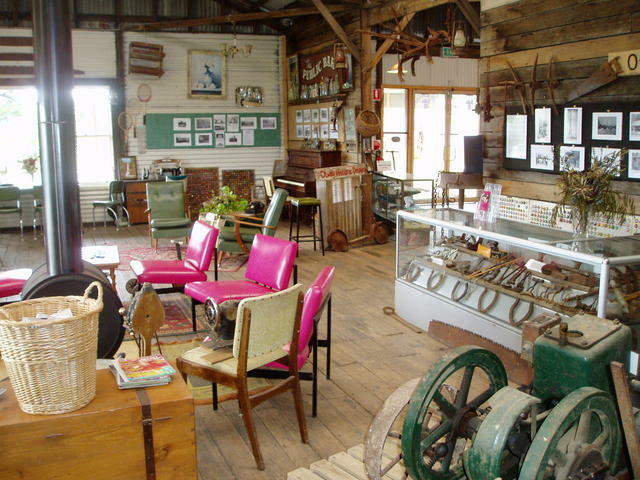 It does have a beaut museum, that is also a top general store, with a lot of historical artefacts, photos and information of the area, which includes the Otway Fly, Triplet Falls, Beechy Rail Trail, Turton's Track, Hopetown Falls, Beauchamp falls. So if you're in the area and seeking a great coffee or morning tea and muffins sitting around a cosy fire in their lounge before exploring more of the local pubs nearby, drop in and enjoy the hospitality of Mark and Leanne at Otway Nourished in Ferguson. They've also got a great selection of foods, produce and necessities for those needing to replenish their accommodation requirements in the area. 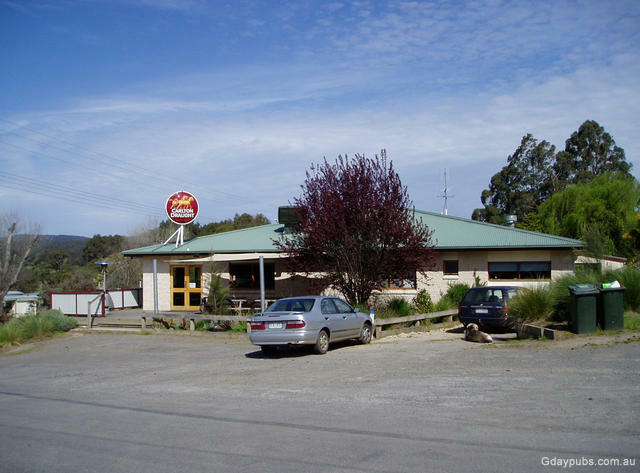 Situated on the western edge of the town, this long time roadhouse is a welcomed stopping point along the Great Ocean Road. And conveniently next door, is a caravan park and lodging for travelling nomads or motorcycling enthusiasts looking for a spot to pull in.